Yesterday, we introduced you to five skiing families in search of the perfect ski resort. Now that you’ve ‘met’ our One Peak families, visit their bios at the Trekaroo Facebook page (see below for links) and comment with your resort recommendations for a chance to win ski gear for your own family! Julbo’s a name outdoor enthusiasts can trust with sun eye-protection, and their goggles are no exception. The adult’s Julbo Polar with Orange Spectron 3 is designed with polycarbonate, spherical, ventilated and polarizing lens. What that means on the slopes is a full field of vision and a nice fit to the face, ensuring you can see while buckling boots or wiping noses on the go. The children’s Julbo Astro is designed with the same attention to detail as mom’s or dad’s, with Orange Spectron 2. The Astro fits kids ages 6-10, and yes, they fit nicely over a helmet. I’ve been wearing Polarmax base layers for several years in the coldest of backcountry weather throughout the Pacific Northwest. My kids put it on without complaint as well. Polarmax Comp 4 layers offer the highest degree of warmth and protection, made with heavy weight stretch fabric lined with brushed fleece. The women’s Comp 4 is fitted, and looks as great as it feels. The Polarmax youth line include Polarmax Tech Silk or Base Layer Basic, both of which come in sizes from youth XS-L, are quick-drying, and, of course, machine washable. My kids wear their Base Layer Basic uppers all year round, hiking and backpacking in them in summer and skiing and snowboarding in them in winter. Made of lightweight foam, these fun helmet additions encourage kids to enjoy wearing their ski helmet. Fohawx work with any style and brand, and can double as a bike helmet topper in the summer months. Simply adhere the included velcro strip to any child’s helmet, attach the fohawx, and watch your kid race down the mountain in style! Winning family to choose from a variety of mohawk and dreadlocks styles for boys or girls. Valued at $19.99. One pair of RAMP Cork twin tip skis for your child! Have you heard of RAMP Sports? Their hand-crafted skis are made in Park City, Utah, earth-friendly, and innovative (not to mention downright gorgeous). Their Cork Kid twin tips are designed to handle both powder and icy slopes with their Razor Cut Sidecut for grip and carving that will keep your kid in good hands. 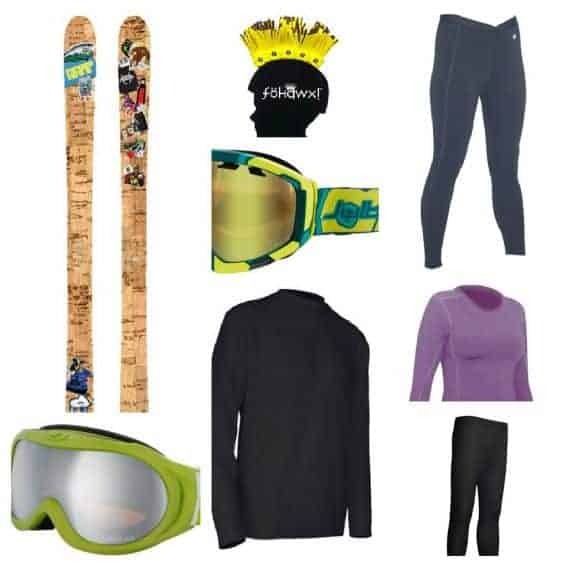 Cork Kid comes in sizes 124 cm, 136 cm, and 148 cm, making them perfect for school-aged skiers of any ability. In addition to entering you to win ALL of the above, your resort suggestions for our ski families will be pinned on our One Peak for all your Peeps Pinterest board and tweeted on the Trekaroo Twitter handle. Hotel stay subject to availability, not valid on holidays. 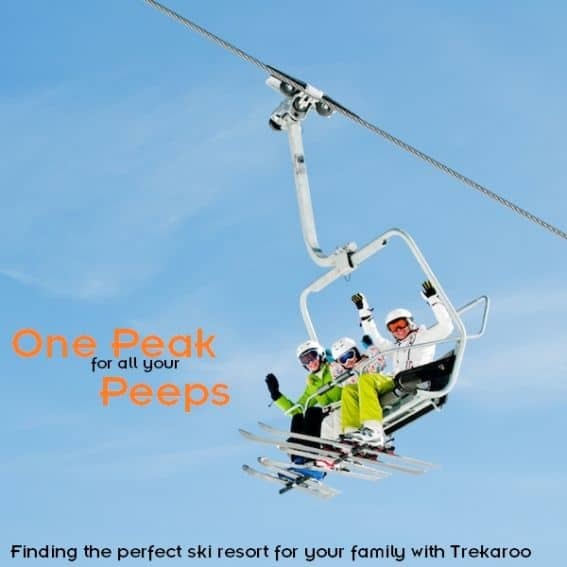 One Peak for all your Peeps: A Week of Ski Trip Planning with Trekaroo! Joined Trekaroo with christreks as my username. Thanks! Oh my goodness…I would so love to win. We get to live in the sunny tropics most of the time, but this year over Dec. we will be in the USA. My daughter who is having a Dec. birthday has dreamed of going skiing it would be a very expensive endeavor for and unlikely to happen, but if we will what an awesome surprise this would be. Keeping my fingers crossed. Awesome prizes! I hope we win because we can’t wait to hit the slopes this winter! I hope you have another giveaway like this soon! Looking forward to it.